Baking the Book, Delivered Fresh From My Oven to Your Inbox! Do you ever get something, whether it be a word or a song or a person, so stuck in your head that it's all you can think about? My brain is currently preoccupied with this song by Glass Animals called Gooey. Now it's not because I like the song all that much, though it is pretty catchy. The only reason this song has been running through my head for the past month or so is because the words 'peanut butter vibes' appear over and over again. And, as any of my friends can attest, I have a penchant for peanut butter. When I was considering which recipe I would use for my re-entry into blogging society, I just so happened to be listening to that very song, and I knew it had to be something chock full of peanut butter. My apologies to those of you with nut allergies (I'm looking at you Hannah and Courtney), but I can honestly say this is one of the best ice creams I've ever made. The base is creamy and heady with a deep chocolate flavor. The chocolate base is rippled through with a sweet-salty peanut butter swirl and studded with chocolate covered pretzels and tiny nuggets of buttery toffee. Too rich? Never. After all, I like my ice cream like I like my men: rich and fat. Happy 4th to all- I hope it's full of peanut butter vibes. To make the peanut butter swirl: In a small saucepan set over medium heat, combine peanut butter, heavy cream, brown sugar, and corn syrup. Stir until sugar has dissolved and mixture comes together. 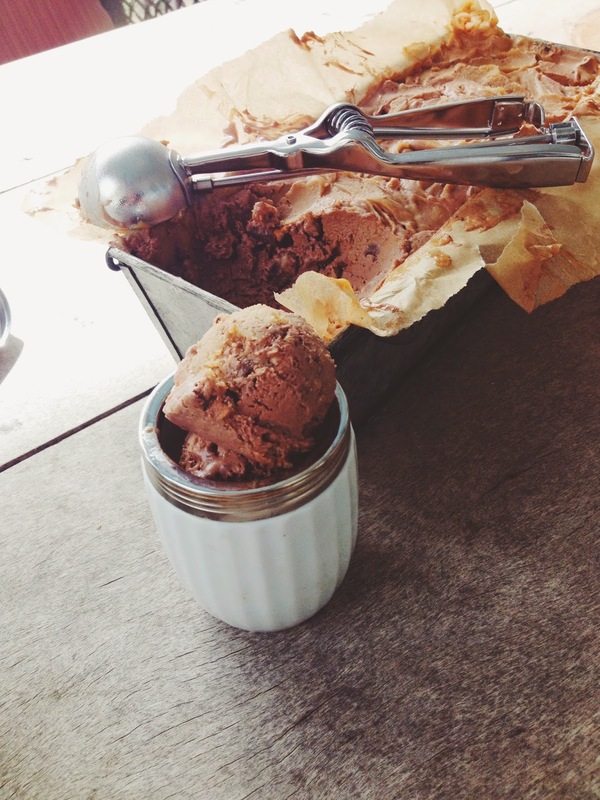 Transfer to a heat-proof container and chill until ice cream base is frozen. 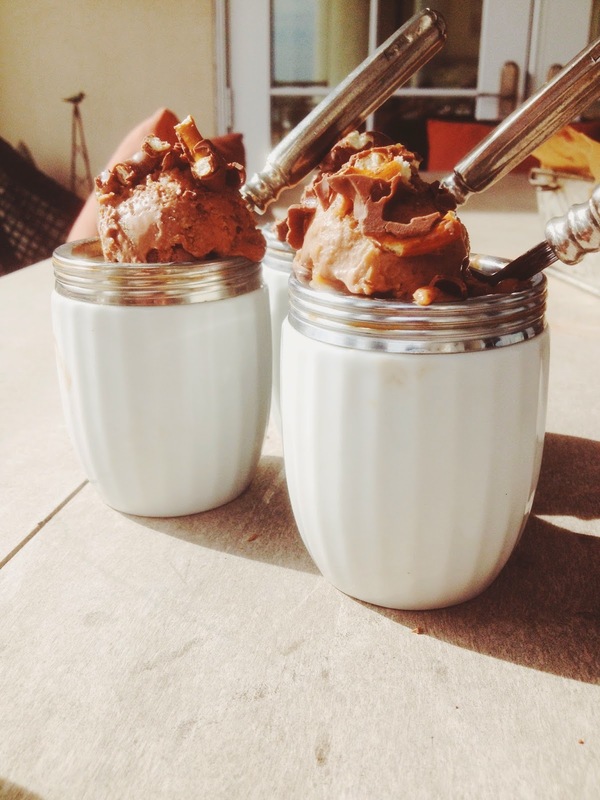 If you have any extra left, it is equally good poured over vanilla or caramel ice cream. To make the ice cream: In a large saucepan set over medium heat, whisk together heavy cream and cocoa powder and bring to a simmer. Once the cream is simmering, remove from heat and stir in chocolate until smooth. Transfer chocolate mixture to a large, heat-proof bowl and set a strainer on top. In a small saucepan set over low heat, heat milk, caster sugar, and salt until sugar has dissolved. Once warm to the touch, quickly whisk in egg yolks. Continue to stir over low heat until custard coats the back of a spoon. Pour through strainer into chocolate mixture and stir to combine. Chill ice cream base until completely cool. Freeze according to your ice cream maker's instructions. Once frozen, fold in chocolate covered pretzels and toffee. In a quart-sized container, layer 1/3 of ice cream. 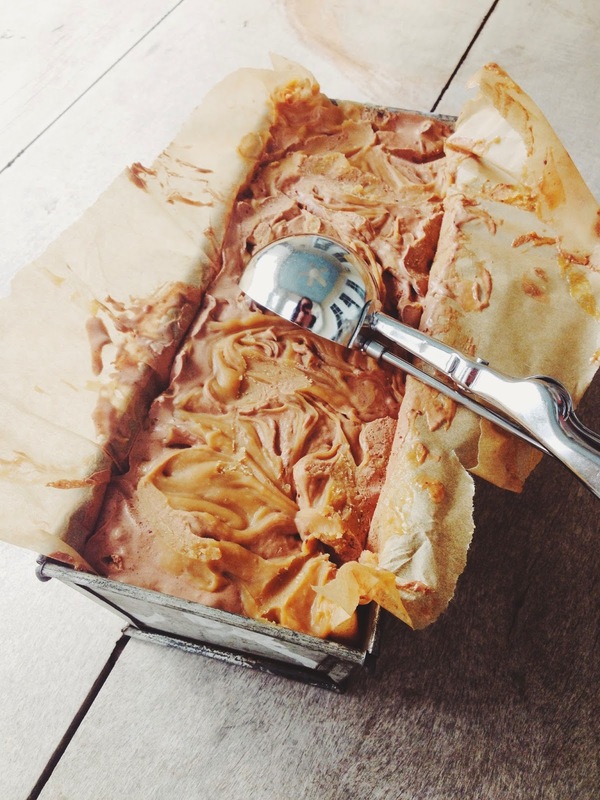 Drop tablespoons of peanut butter swirl over ice cream and swirl through with a knife. 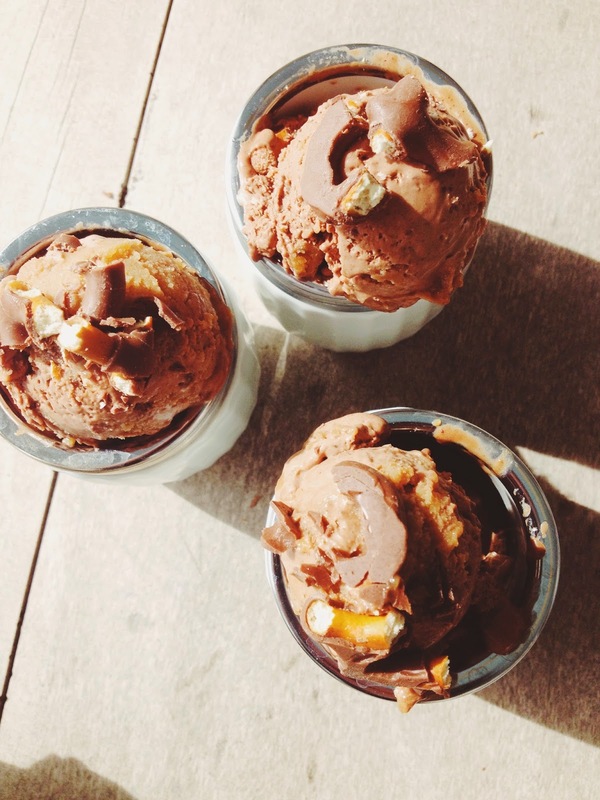 Repeat until all ice cream and peanut butter swirl has been used. Freeze until ready to eat.